A little while back I mentioned our plans to buy a bigger flat which, unfortunately, have now fallen through. Rather than getting stuck on what just wasn’t meant to be, we’ve decided to stay where we are, do some renovations and make the place as perfect as possible for the next few years. With two comfortable bedrooms and a good sized garden you can guess what the the focus of our attentions is going to be: the kitchen. Writing a cookbook using a kitchen just about big enough to swing a cat in is one thing. Storing the results is quite another. A quick survey of our kitchen would reveal flour and sugar spilling out of every cupboard, tins of treats stacked on every work surface and – despite all the gifts I’ve made to friends, colleagues, neighbours, even people passing in the street – a freezer full of food wrapped, dated and stored from moments when even my sweet teeth couldn’t cope with the sheer quantity of food I was making. 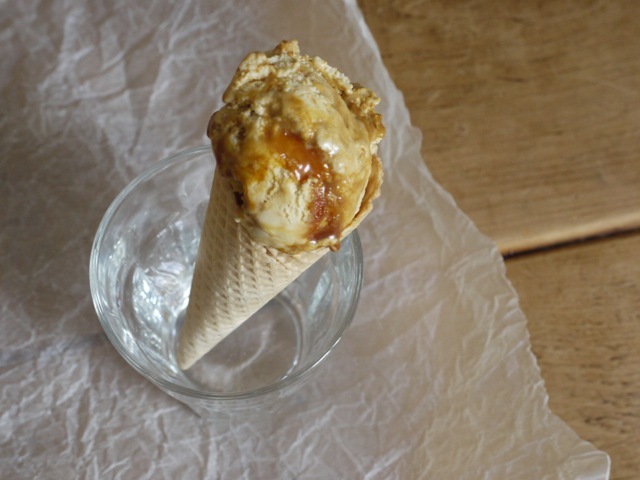 This ice cream was made when I discovered some leftover honeycomb lurking in a tin on top of the fridge. 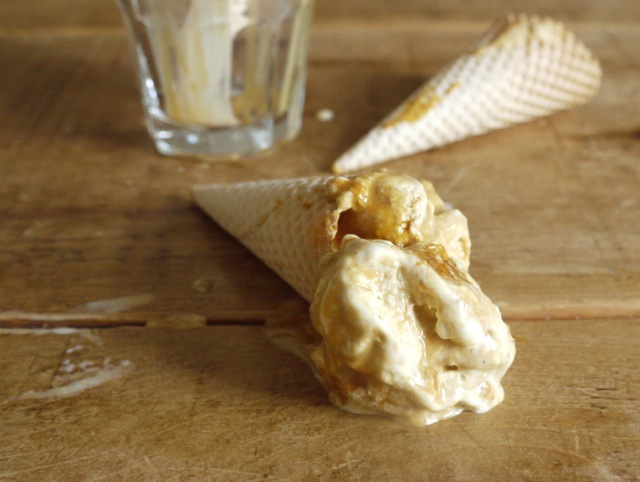 Stirred into a churned vanilla custard then frozen, the honeycomb softens into a sweet, caramel-like sauce, the high sugar content making this ice cream scoopable straight from the freezer. It’s less a recipe than a suggestion of flavours to try: a happy accident with the added bonus of being a brilliant way to use up leftovers. More on the new kitchen soon. In the meantime, here’s hoping a post about ice cream brings some sunshine to your week. Churn the ice cream custard in a machine according to your manufacturer's instructions. Once churned, layer in a freezable container with chunks of homemade honeycomb, stirring gently to combine. Freeze for a minimum of four hours, but best eaten 24 - 48 hours after making when the honeycomb will have softened into the ice cream. Less a recipe than a suggestion of flavours, this makes a soft, scoopable ice cream, delicious served in a cone or alongside summer fruits. Love honeycomb in any form. I wonder if adding some Greek Yoghurt to the mixture would make an even better home made version of the Ben and Jerry’s overly sickly variety? I cleared the top of our fridge this morning in preparation for some building work and I only wish I’d found something as delicious as honeycomb lurking up there! Such a great idea for an cold + sweet treat. Oh, I love honeycomb ice cream! Ice cream is definitely on my list to master this year, but the weather just hasn’t really inspired me so far – fingers crossed that the sun starts shining more regularly because I really want to try this (and I’ve got thoughts on a limoncello ice cream sorbet thing that needs to happen). Good luck with your renovations – a new kitchen is truly a gorgeous thing! Limoncello sorbet sounds amazing – would love to give that a go. What is it about cats that get folks wanting to swing them? The advice on pruning my daughter’s peach tree is ‘branches separated so you can throw a cat through them’ (for better air circulation). I’ve got dogs, and for the most part they stay on the ground (slight exceptions for cuddling Wee Oliver Picklepants when he’s feeling poorly). Good luck with your plans, I know the feeling! I live in a shard house and it’s a nightmare running my blog! 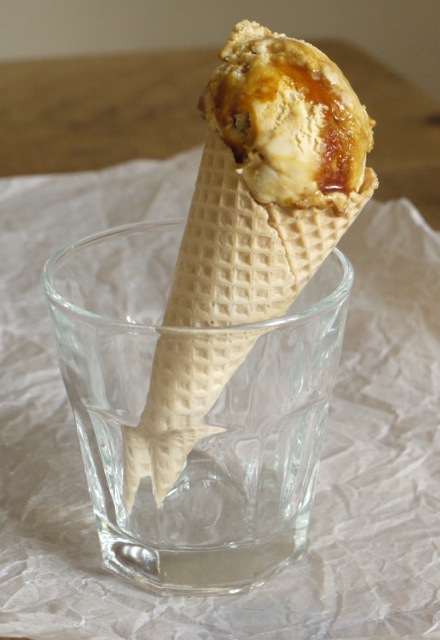 This ice cream looks delicious, I adore making my own honeycomb! Ooh, I wish we did too! Sticky, sweet, cheeky and fun. I need some! My kitchen was tiny as well with no cupboard space, it got a little crazy there for a while trying to run a cake business and blog from there. Now I have renovated one of the spare rooms into “the cake room” so life has become so much easier now. The ice cream looks delicious – Good luck with the new kitchen! A ‘cake room’ sounds like a brilliant idea to me! This looks AMAZING!!!!!! I am also in need of a bigger kitchen, so I can get a freezer big enough to store my ice cream maker! Thanks-this looks wonderful and I can’t wait to try it. 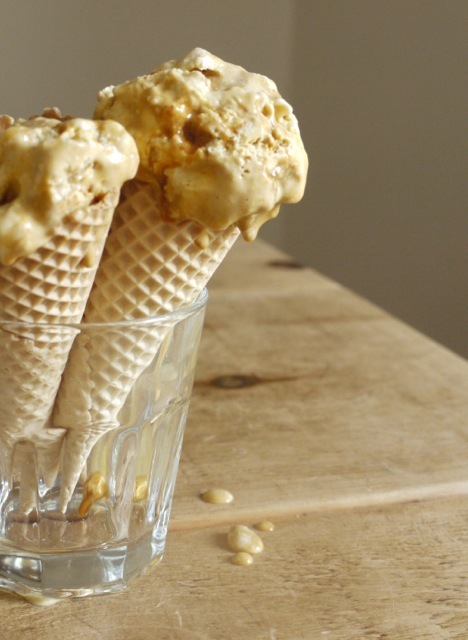 yummmmm this honeycomb ice-cream looks so good. I love honeycomb ice cream, looks delicious! LOL, i love how you compare the size of your kitchen to the space allowed for swinging a cat. ahahaha! Bummer about the new place, but renovations are fun, too 🙂 I’m in the midst of thinking of moving, too. I love our neighborhood, but sometimes I feel like we just need a bigger space. It’s harder with little kids….! This ice cream looks delicious! What a simple twist on vanilla ice cream! Never made honeycomb before but definitely will give it a shot 🙂 Perfect summer treat. Man, that looks good and just the thing on a sunny day like today. 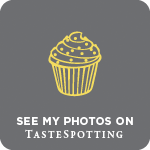 I’ve often wondered what happens to all the food that serious food bloggers/recipe testers make….! Oh, my! You know that I’m an ice cream lover, and I’m so intrigued by the way the honeycomb candy softens to a brilliant swirl in those scoops. I might just have to make myself a batch of honeycomb sometime soon! It’s wonderful and all that sugar makes it beautifully scoopable too, such a good find! Sorry your move fell through but hopefully your renovations will more than make up for it. 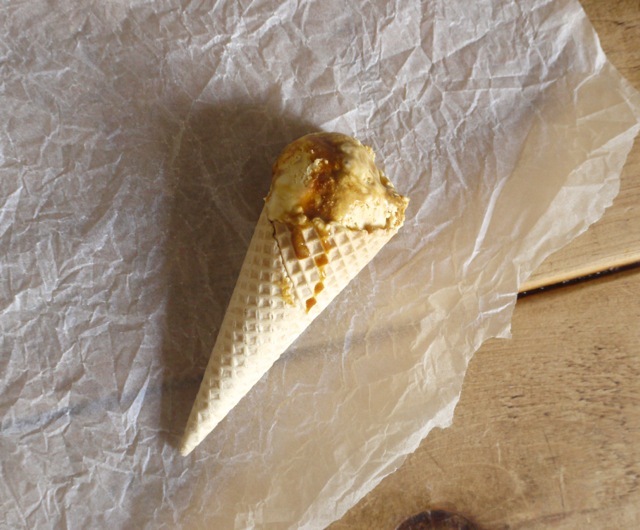 I love honeycomb ice cream — the first time I made it I used the cream and condensed milk no-churn base which is now a firm favourite — indeed I made another ice cream using the base a few hours ago. It seems naturally soft scoop, perhaps because so much air is whipped in before freezing, and there is a very subtle caramel undertone from the condensed milk too. YUM! Why on earth I haven’t yet made homemade honeycomb is beyond me. This sounds sensational Kate!